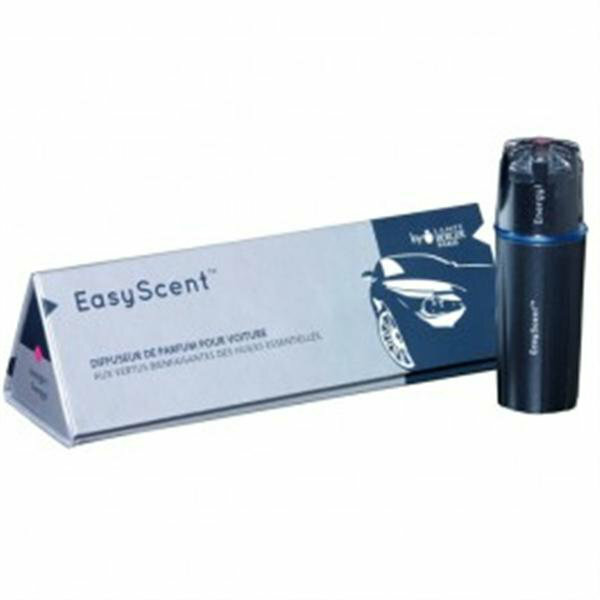 To breathe fresh and pleasant air in the car, a perfume with powers to prevent the desire to smoke thanks to a synergy of 14 essential oils including essential oil of Red Cedar (anti-stress). This fragrance neutralises unpleasant odours thanks to the patented Freshplex™ molecule. An elegant, metallic grey diffuser with a high-end design. Silent, it can be plugged in either the cigarette lighter socket or the 12-volt vehicle battery. A light display enables you to check the diffuser when in use or when the perfume runs out. It diffuses its perfumes intermittently: 15 mn ON / 5 mn OFF. Turns off automatically after 150 mins. Has 2 speeds of fragrancing to vary the intensity of perfume. Delivered ready-to-use with a 70h anti-tobacco refill.